Need an easy, delicious, hearty meal? May I suggest chili and cornbread! 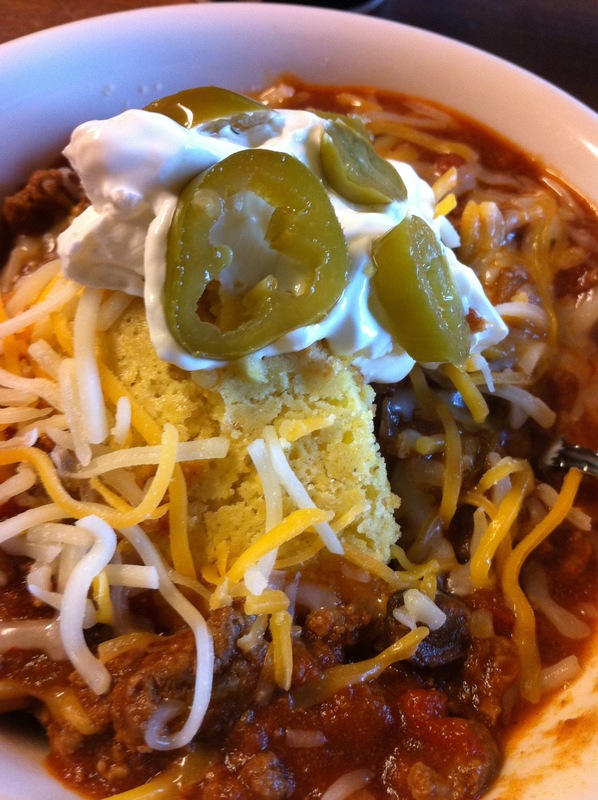 I absolutely love chili (mainly as an excuse to eat copious amounts of cheese and sour cream) and it’s super simple to make, especially if you make it in a crock-pot (such a strange word). First brown up come ground beef in a skillet with a small chopped onion and a few cloves of garlic. When the beef is done drain off the grease and transfer the beef to a crock-pot. 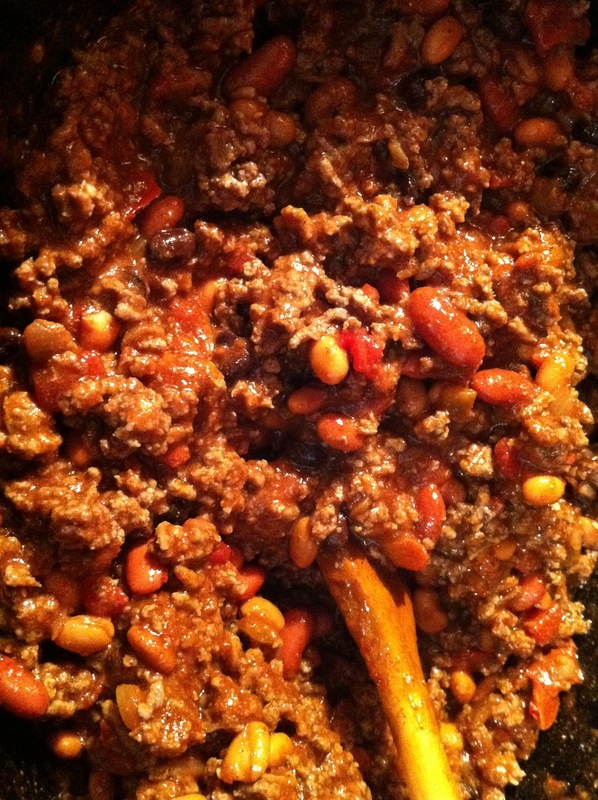 Add in beans, crushed tomatoes with chili, tomato sauce, a jar of salsa, brown sugar, chili powder, paprika, cumin, ancho chili powder, chipotle chili powder and salt and pepper. Stir it all around and let it cook. It’s that simple. 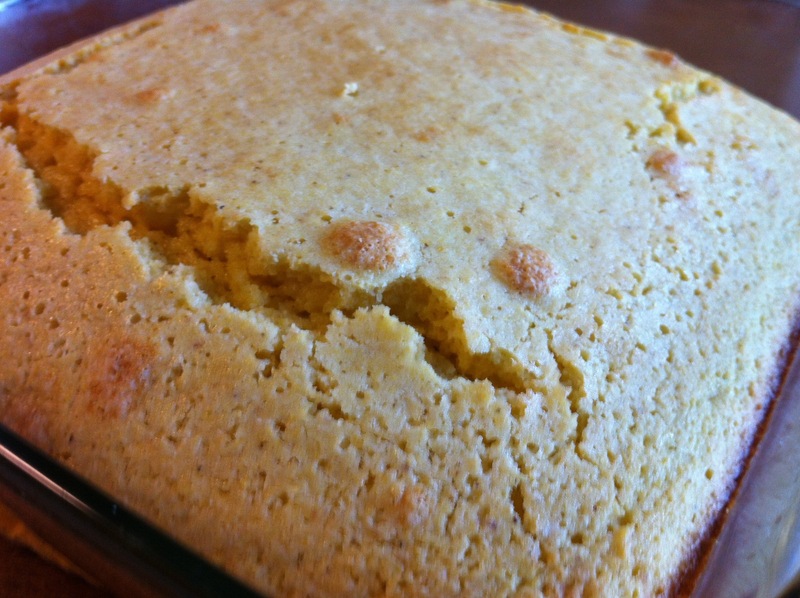 Now, for a delicious accompaniment to the chili, what’s better than some cornbread. You just mix up some corn meal, flour, sugar, baking powder, salt, oil, milk, and an egg. Place it in a greased pan and bake it. 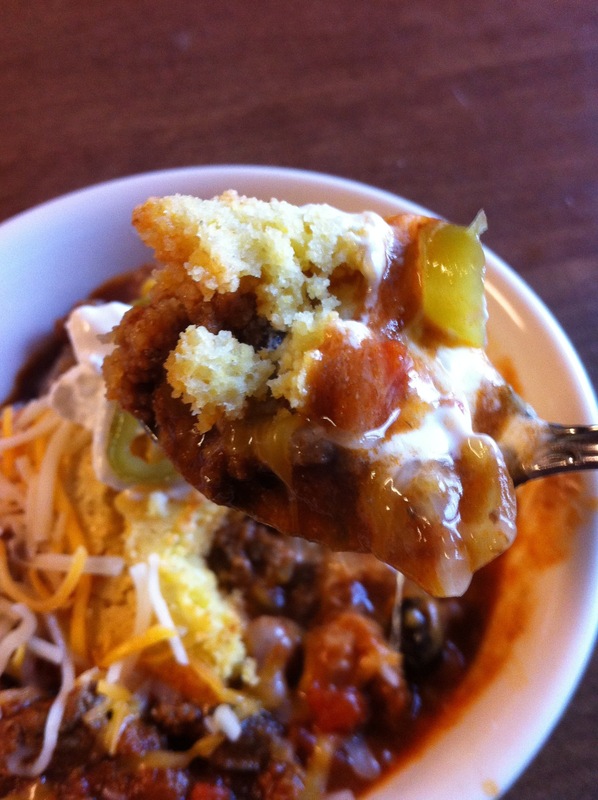 After the chili is and cornbread are done serve them up in a bowl with some sour cream, shredded cheese, and jalapeno. Yum!